Consider this recipe a template. Inspired by this recipe, I just took the idea and threw some of our favorite flavors together. The result was very tasty and plenty for dinner tonight with leftovers for lunch tomorrow. So if you try this recipe, please feel free to mix things up a bit. Vegetarian? Leave out the bacon. Don't like goat cheese? Replace it with feta or mozzarella or whatever. Don't like zucchini? Try another recipe entirely. You do what you want! Garlic and onion -- two crucial ingredients for many delicious recipes. Preheat the oven to 400º F. Spray a baking dish with cooking spray. Heat the olive oil in a pan over medium heat. 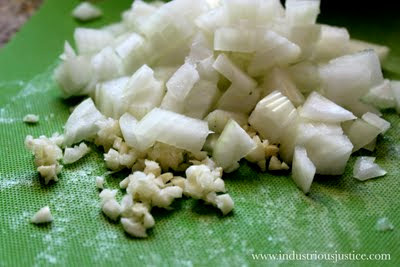 Add the garlic and onion and saute, stirring occasionally until softened, approximately 10 minutes. 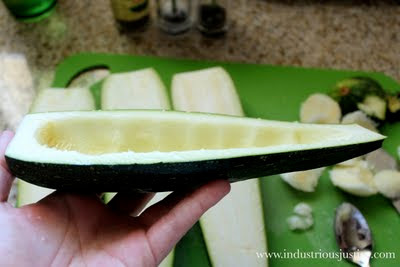 While garlic and onion are cooking, prep the zucchini. Rinse the zucchini and pat dry. 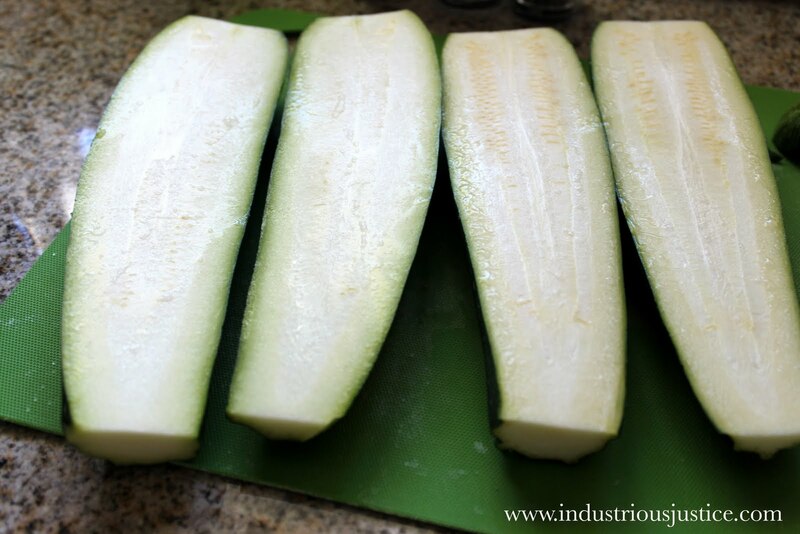 Trim the ends and slice in half lengthwise. With a spoon, dig out the insides and reserve. Place the zucchini boats in the baking dish. 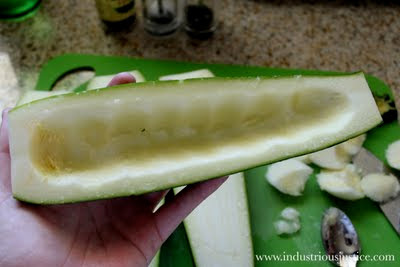 Chop up the zucchini insides and put in a medium size bowl. 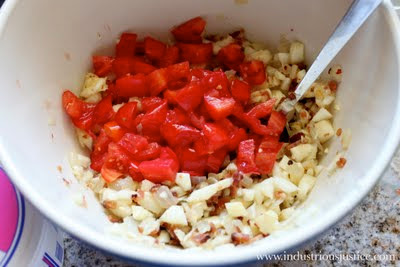 Add the garlic, onion, bacon, tomato, red pepper and thyme. Stir and season with salt and pepper. 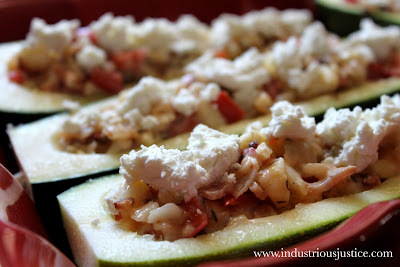 Distribute the mixture among the zucchini boats and top with crumbled goat cheese. 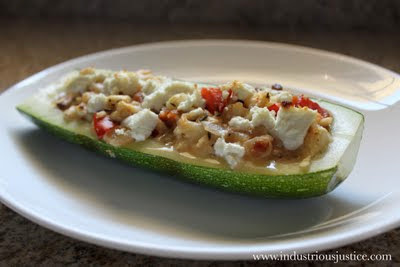 Bake until the zucchini begins to soften and cheese just begins to brown, approximately 20 minutes.